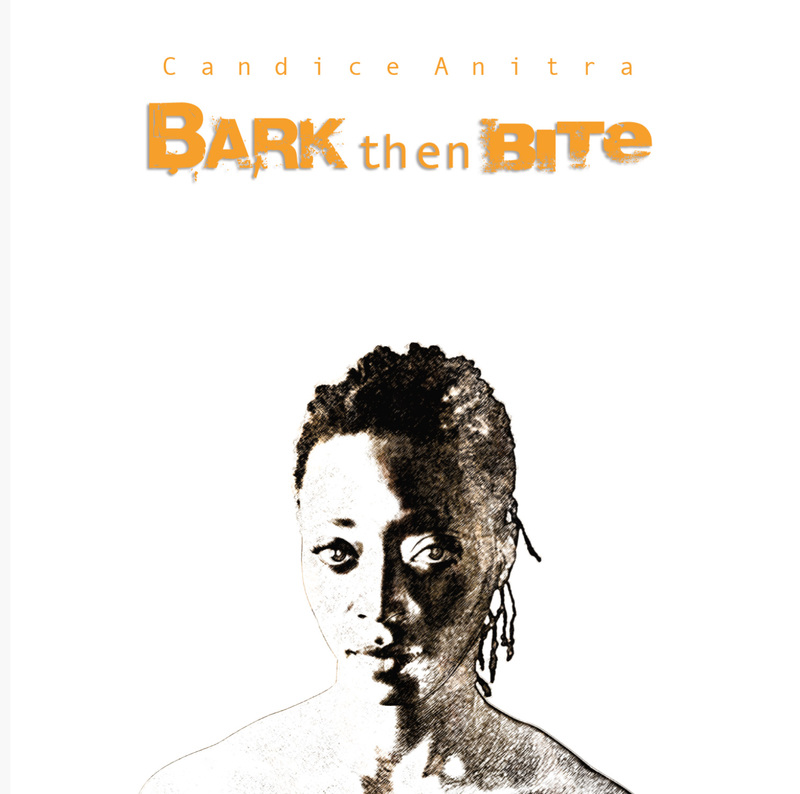 “A pacifist in pumps / Not afraid to throw a punch / Or eat your hurt feelings for lunch," says Candice Anitra on the female powered anthem “Too Much Woman,” from her debut LP, Bark Then Bite . The Philly-bred singer, who found her passion at the city's renowned Black Lily shows, soaking up performances by the likes of The Roots, Jill Scott and India.Arie, is gearing up for the release of her debut album this September. Helmed by super-producer Joel Hamilton (Elvis Costello, Justin Timberlake, Bernie Worell, Talib Kweli), with music by Dub Trio (backing band for The Fugees, Matisyahu), and recorded in Brooklyn's legendary Studio G (BlakRoc, RJD2), Bark Then Bite is a musical tour-de-force, combining Anitra's raspy, yet soaring vocals with infectious melodies over funky, rock-infused baselines. Bark then Bite is an album that demands to be heard. Not only do all of the collaborators lend their artistic genius and decades of experience across musical genres, but Candice proves herself a force who will make a definitive mark on a new decade of music, art and politics. Candice’s songwriting, with Joel Hamilton and Dub Trio’s embellishment, pushes the envelope with its infusion of funked up rock n roll and with her sexually-seductive politically-progressive lyrical content. Indeed, Candice Anitra defines herself as a singer-songwriter-alchemist. Her words turn life’s grist into gold. Amidst Candice’s progressive feminist angle is a sound that is simultaneously new and vintage – producer Joel Hamilton references the music as “Tina Turner meets The Beatles” or “Fiona Apple meets India.Arie.” Alternately, it’s as if Sade linked up with The Doors or Amy Winehouse merged with Jill Scott. Candice presently lives in Brooklyn, NY with her partner and two young daughters. Along with releasing Bark then Bite and the recent premier of her “Objectify” music video produced by Simon Doolittle, Candice is also in the process of adapting a play for the screen and developing her first serial comic. Candice looks forward to being a songwriter and producer who can help create community arts and youth development centers. In her work, she channels her great grandmother for inspiration, and she is driven to model for her two young daughters the message that they must never let others interfere with their pursuit of their own passions and inner truth.